Amazon Cloudfront integration exists in WP Fastest Cache. It is not caused by the plugin. You could not install the setting properly. 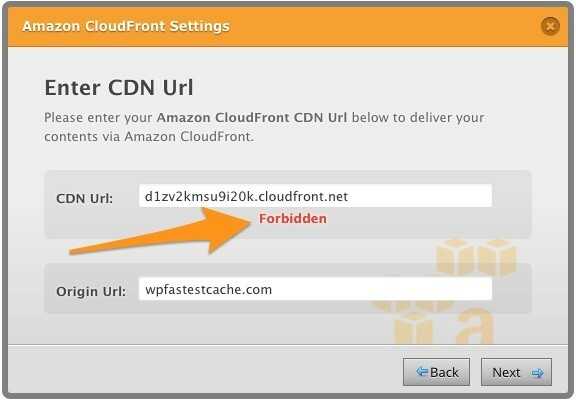 The cdn-url returns 403 error (Forbidden Error) so you get “Forbidden” error and cannot complete integration. You need to contact to the Cloudfront Support Team. This entry was posted in Blog, Warnings on September 27, 2015 by admin.